Creating customised DIY furniture is made accessible and easier with Dulux Duramax Spray Paint. Swapping the paint brush for a spray can not only eliminate hours from the DIY process, it enables you to achieve a long-lasting, fade-resistant, streak-free finish in just one hour. 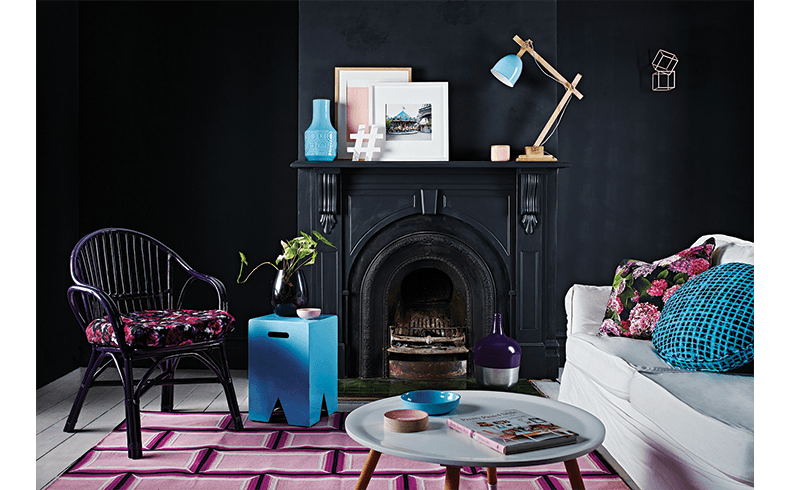 With many home-renovators opting to keep their walls neutral, incorporating colourful furniture and accessories is an easy way to inject contrast into your home. Rejuvenating old furniture and accessories is quick, easy and perfect for a weekend DIY project to create personalised, bespoke pieces. Old furniture stored in the garage or spare bedroom can so easily be brought back to life with a spray of colour. The only limit is your imagination. Dulux Duramax is a premium high performance enamel spray paint that provides excellent coverage on wood, metal, and most plastics, even in hard-to reach crevices and corners. It dries 10 times faster than normal spray paint; and is specially formulated to resist running and sagging to leavea streak-free finish. Duramax is available in 29 signature Dulux colours, as well as a range of specialty finishes, such as: Diamonds Effect glitter finish; Granite Effect for special projects inside and outside your home; six Metallic Finish colours; Magnetic Chalkboard for use in kitchens, offices and play areas; Stainless Steel Finish for metal, wood and ceramics; and glow-in-the-dark Light Up Enamel great for kids bedrooms.